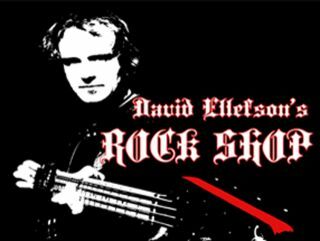 Former Megadeth and current F5 bassist David Ellefson has launched the David Ellefson Rock Shop - an ongoing YouTube video series that he hosts himself. Ellefson says, "I'm always asked questions from fans and other musicians about playing the bass, the business side of our industry, and music in general. "So, I decided to create these regular video webisodes as a way to inform and respond to many of those questions." Ellefson previously authored the book Making Music Your Business as well as two metal bass instructional DVDs - Metal Bass Vol 1 and Vol 2. He is also a bass clinician and advisor, working for Peavey among others.